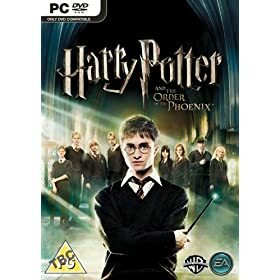 Today I caught Harry Potter and the Order of the Phoenix with my good friend J. I wasn't sure that I would like really, because so far many sequels have been disappointing (Pirates 3 which my students were watching last night). Harry has grown older, and the stakes have risen higher in this one. I was at in suspense, even though I knew what had happened cause I had read the book. The Death Eaters and the wizard battles were even better than I had imagined, and also, I thought the movie's bad girl, The Umbridge Woman, was sheer evil! It was amazing what a complete fascist she was, and how she behaved. I was scared! I enjoyed the final battle moments the best, when Harry and Dumbledore are under Voldemort's attack. What awesome magic! :) This is a must see, particularly if you have read the books and seen the previous movies.